Are Bradley Cooper And Lady Gaga Doing The Nasty? Check Out All The Best Tweets About Their Undeniable Chemistry - T.V.S.T. 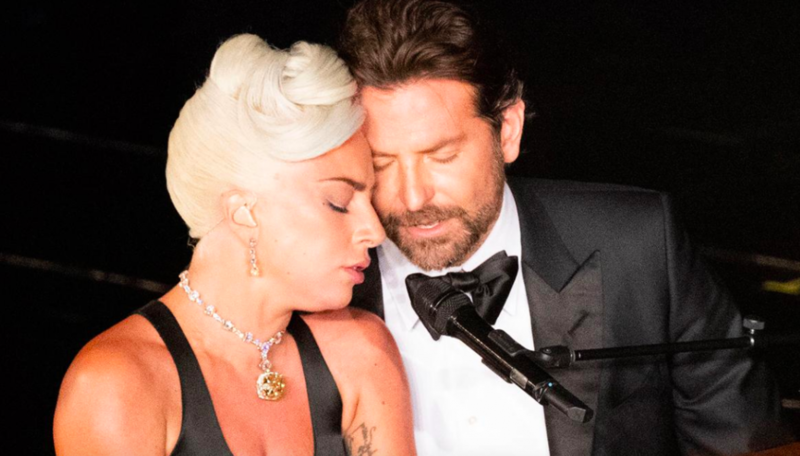 If you watched the Oscars on Sunday night, then you know Bradley Cooper and Lady Gaga gave a pretty steamy performance of their Oscar-winning song, Shallow. It was intense, and by the end of the song, they were rubbing cheeks together at the piano. Throughout this festival circuit and promotion of their film, Gaga and Cooper have grown even closer together. Their chemistry is undeniable, and people are wondering if Cooper is the reason why Gaga ended her engagement to Christian Carino. The only problem with this is that Cooper has been in a long-term relationship with Irina Shayk. They even have a kid together. She was at the Oscars sitting right next to Gaga and Cooper. It didn’t look like there was any tension between the three stars. But one has to wonder…are Gaga and Cooper secretly f**king? The internet certainly thinks so. I’m sorry, but if you’re Bradley’s wife, aren’t you just…slightly…nervous?